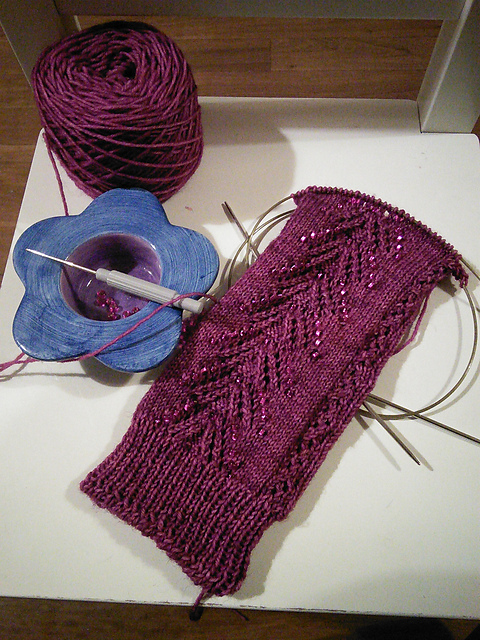 Updates on the latest work(s)-in-progress. 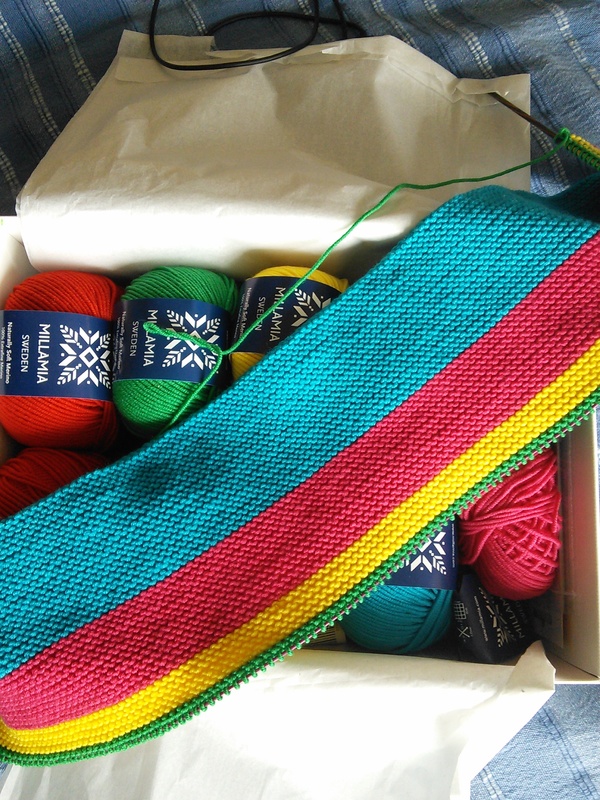 This evening I decided to tackle a new project, which has been queued up for 15 months. 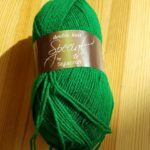 At Yarndale in 2014 I bought a scarf kit from the now sadly discontinued Natural Dye Studio to make a Plankton Scarf. 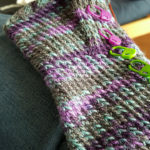 It’s a modular project, which fills the gap left by the epic sock yarn scarf, but using specific yarn, so not diminishing the sock yarn scraps in any way. This may become problematic at a later date, but is fine for now, (one can always buy bigger boxes). 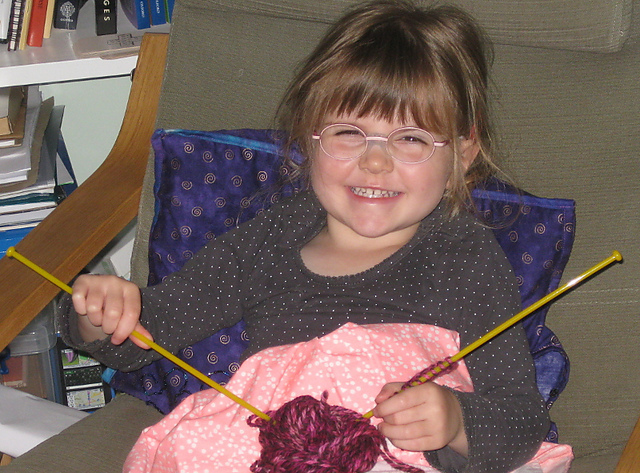 The children very helpfully assisted in winding the yarn before bedtime, then I perused the pattern before jumping in and making the first motif. 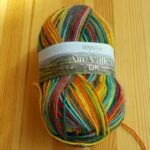 The pattern is written for 8 colours, but the kit only contains 5, so there’s no compunction to follow the very detailed chart of colour options at the end of the pattern, but I’ll have to come up with my own colour design instead. 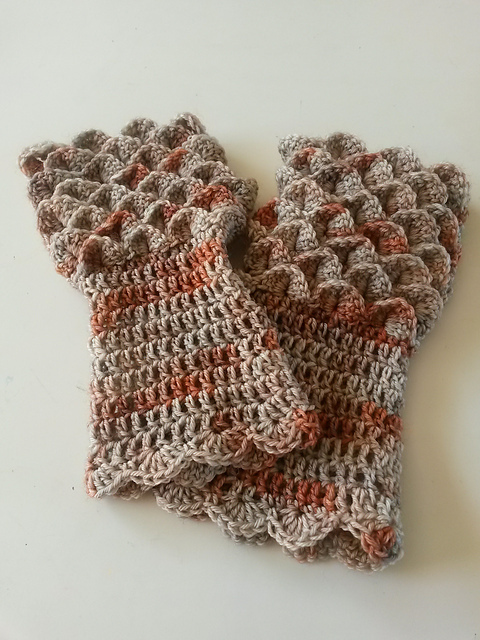 There’s one instruction that has me baffled, which is to do with the chain stitches at the beginning of the rounds. 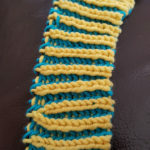 How do you “crochet chain stitches into a gap”? 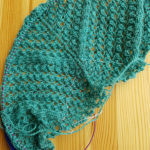 Chain stitches just are where they are as far as I’ve ever known. 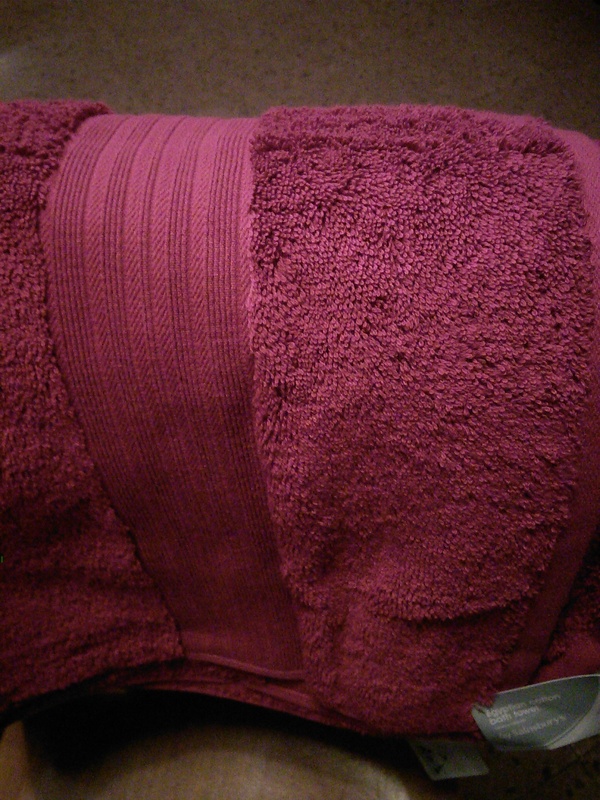 The intended effect seems to be anchoring the chain stitches slightly to the rear of where they would naturally form. More experimentation needed. 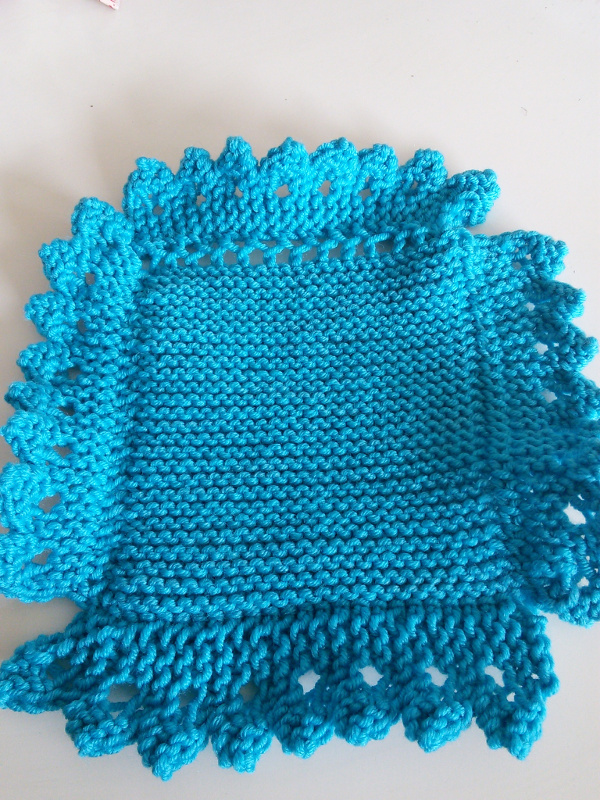 My crochet tutor (aka Mum) is popping by for a visit tomorrow so I shall consult her and see what she says. 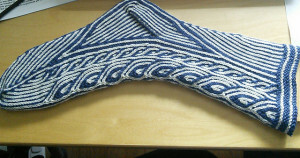 Anyway, I’ve got one finished motif with ends sewn in ready for blocking. One down, 89 to go. I think I’ve found an error in the written instructions, although the chart is correct. 9dcs on round 5 rather than 8. Here’s the latest on the yellow and grey socks. 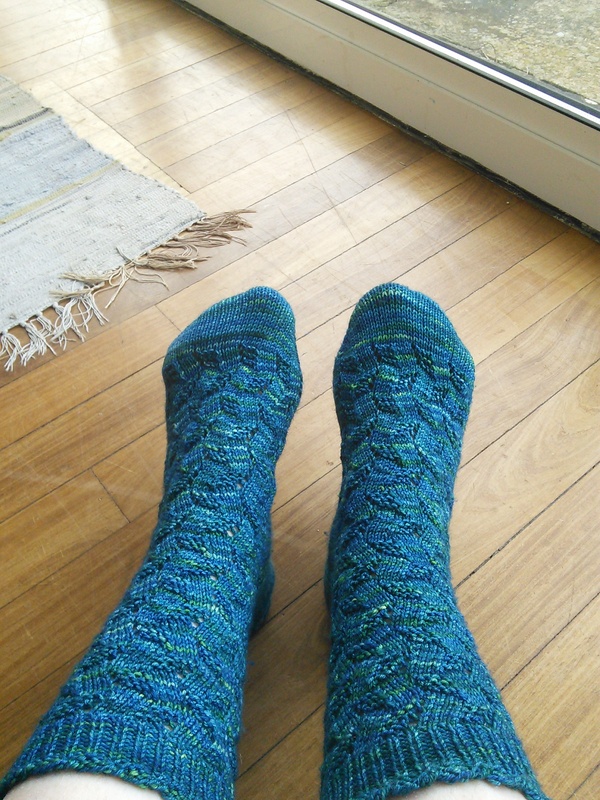 They’ve been frogged once and I’m not sure whether they won’t succumb again, as I’m not overly impressed with the pooling on the leg. 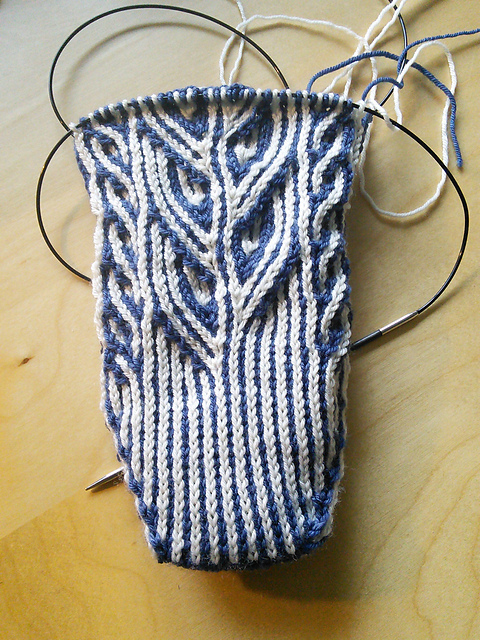 The blue and white sock is progressing nicely, albeit slowly. 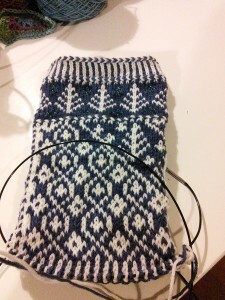 I’ve just tackled two colour purling for the heel flap. That’s all the active WIPs at the moment. There are inactive ones too, but they’ve made no progress since the last update. Finished objects will follow in due course. 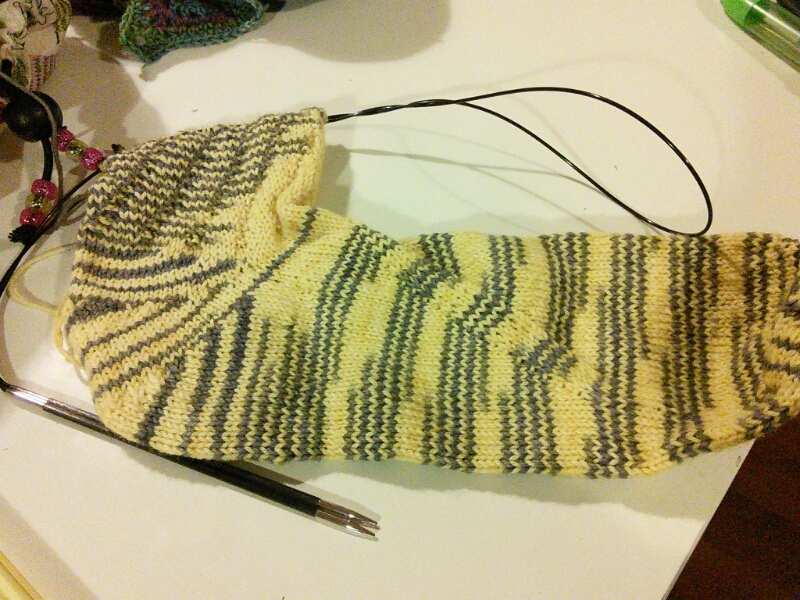 September the 1st is a fixture in my calendar: Sock Sniper begins. 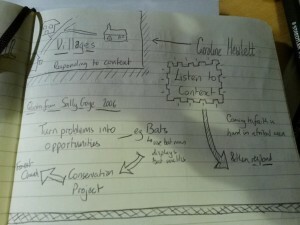 I’ve already written a little, but wasn’t able to disclose much in my last post. My heart sank when I discovered I had a Canadian target. This would be the year I discovered the truth of whether Canada Post lives up to its reputation. My socks were completed on September 4th and posted on September 5th. The made landfall in Canada on September 9th, but didn’t reach their destination until the 24th. I believe it was Canadian customs, rather than Canada Post itself that was the real culprit, but it was infuriating to watch the tracking websites show no update for weeks on end. My death came at the hands of yogaknot on September 24th as well. 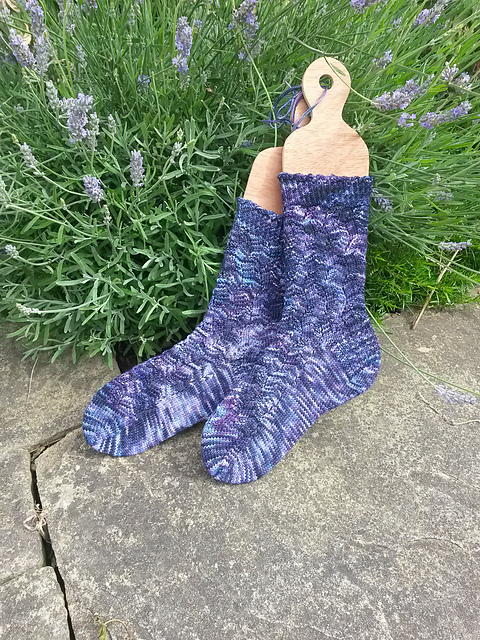 In between posting and receiving death socks, I busied myself with a secret project that I must get round to posting to France. 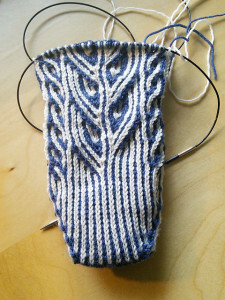 Then I decided that I really should do some serious work on one of my long-term WIPs. 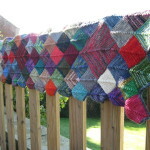 The sock yarn blanket scarf has been on the needles for 5 years. 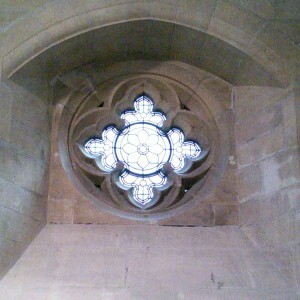 It made steady progress until it became too big to carry around in a bag and work on during meetings. 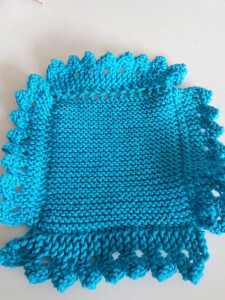 Every so often, usually for the olympics, I would set a target of knitting a handful of squares. 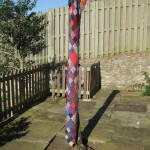 Looking back at photos, I can see that it reached the designated halfway point before February this year, then I realised that there were ‘only’ about 70 squares left to knit and it sounded achievable. 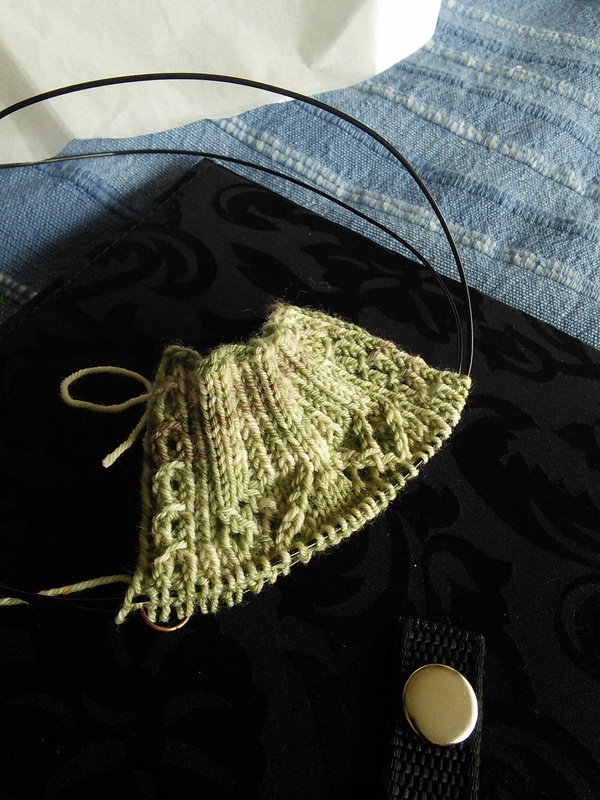 By mid-September I decided that I wanted to wear it to Yarndale, so I knuckled down and knitted as much as possible. 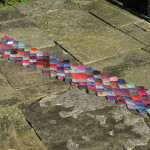 In the last few days leading up to Yarndale I had about 40 squares left to do, plus the applied i-cord border to knit and the ends to sew in from the last few sessions. 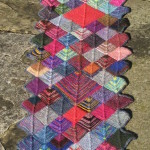 I called time on the project at midnight the evening before Yarndale. 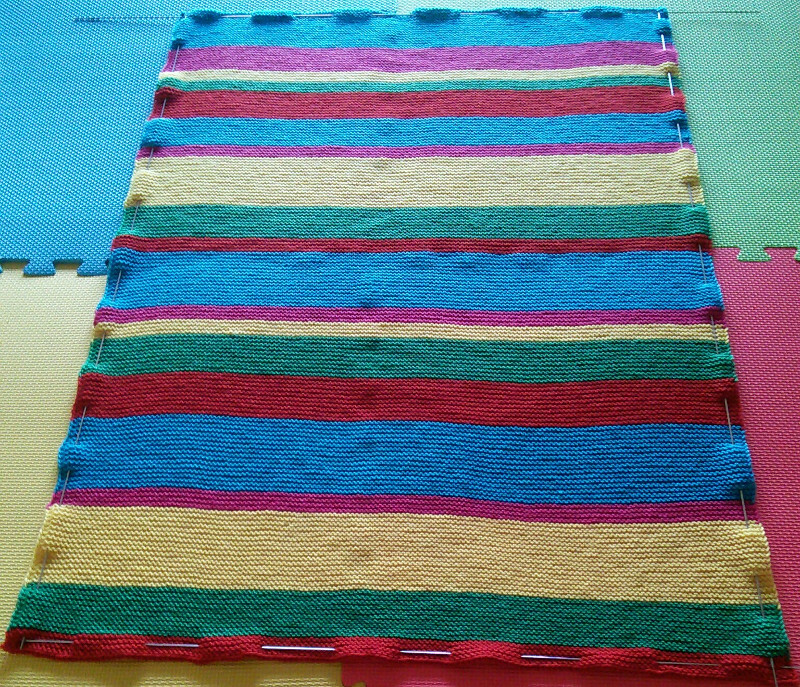 All the squares were knitted, all the ends were sewn in, but there were still about 14 edge squares without a border. So close. 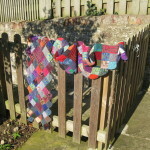 I took it to Yarndale anyway, where I showed it to Joy at The Knitting Goddess, since it is approximately 50% her yarn. She liked it (and you may see some of these pictures on her blog in the next week or two). 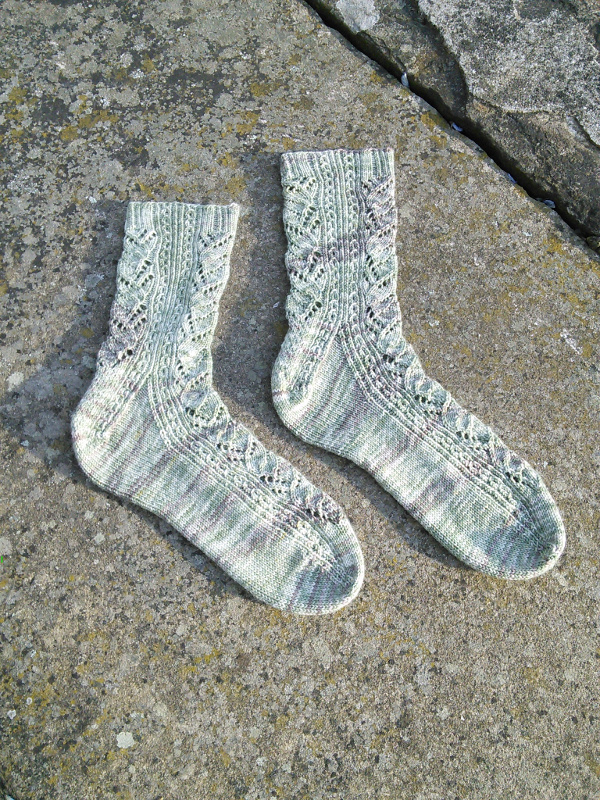 I’m keeping the rest of the Yarndale stuff for another post. 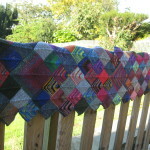 After a few days, I finished the final bit of the edging and took it outside for some beauty shots. Why not hang it from a tree? 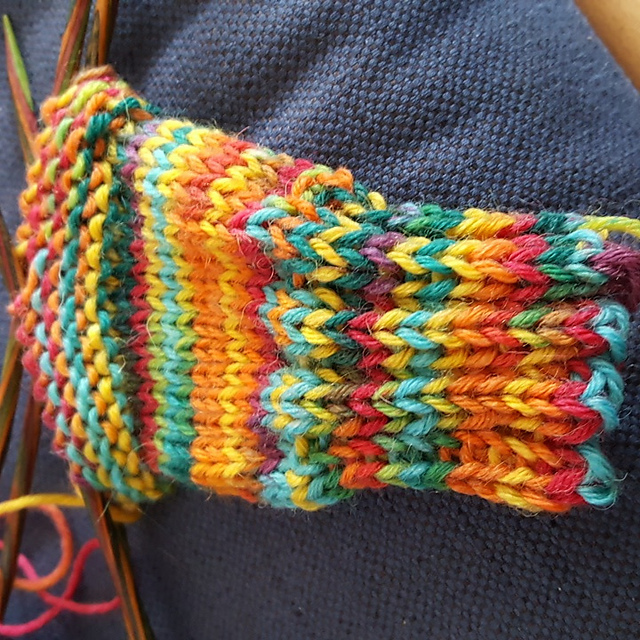 This, then, is a history of my sock-knitting up until now. 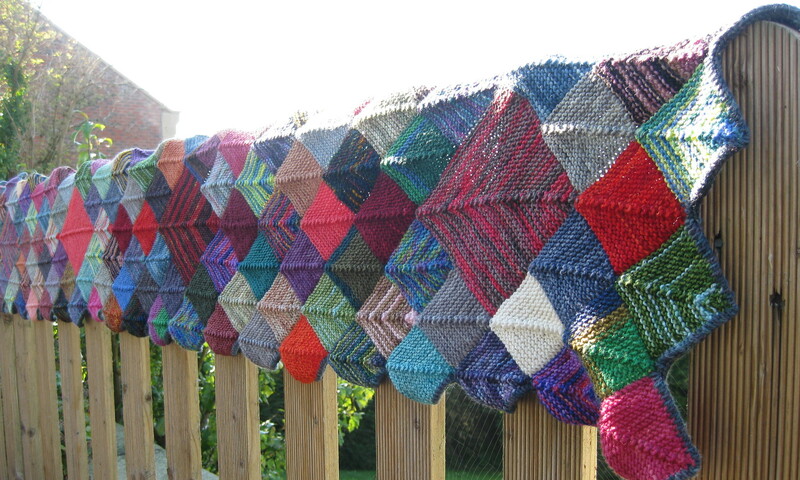 It contains at least one square from every sock (or glove) I have ever knitted. 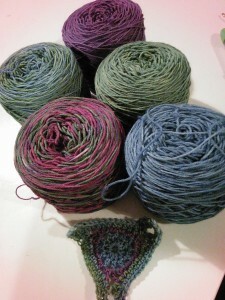 It began only 3 years into my knitting career, when I was concerned that my sock-yarn scraps were getting out of hand. With hindsight, I can see they weren’t out of hand at all. 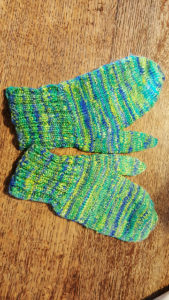 At that time I had knitted only 7 pairs of socks and 2 pairs of gloves. 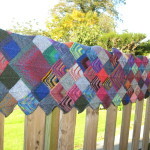 Now, it is well over 50 pairs, so there’s a little more variation as it gets up the blanket. The question remains: will I actually wear it? 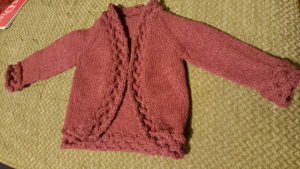 It’s a little cumbersome for regular wear, but it is lovely wrapped around the shoulders in the evenings. 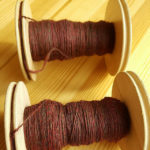 Now, of course, I need another sock yarn scrap project. I’m not going to do another of these exactly the same because it lost its usefulness as a travelling project when it got too big. 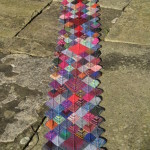 Perhaps I will make squares of about 25 little squares joined together, then seam them all into a bigger item. 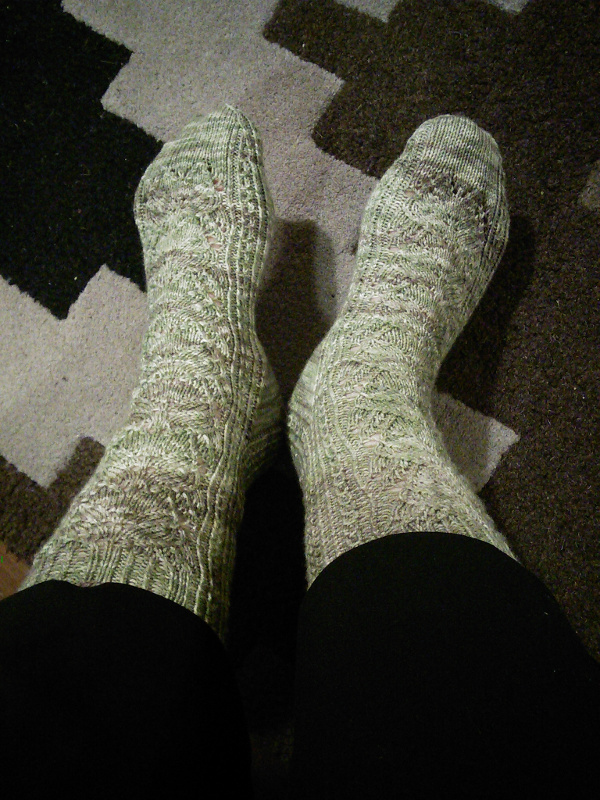 I have started the Snow under Cedar sock. 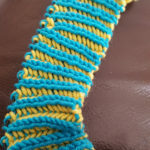 Lovely braided cast-on, some colourwork with beading. The next thing to do is another braid, then onto the main colour chart. New item: pink socks for the little girl. 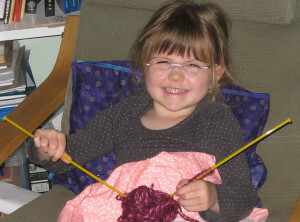 Last week (when I was in the throes of knitting the scarf) she demanded I make her some pink socks. 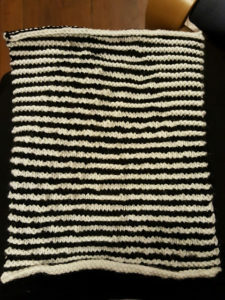 I promised that when I had finished another project, I would. 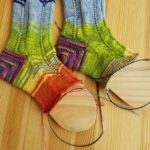 I’m using scraps from various socks for these. So tiny: only 44 stitches at the ankle, so they shouldn’t take long. A friend (and blog-reader – Hi Daisy) has a rather large bump, so I need to knit something for her. Are you bothered about it being a surprise, or would you like to see it growing? 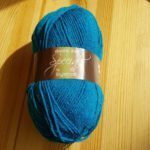 I have yarn and a plan. I’ve bought Ysolda’s pattern collection, Knitworthy 2, and I’m very tempted by the gloves. Perhaps it is time to bite the bullet and make some knee-high socks. I now have three pairs of skeins set aside for knee-highs. I’ve even bought a nice dress for work that might go with them. The latest in the Lord Peter Wimsey books, originally by Dorothy L Sayers, but continued by Jill Paton Walsh. It’s called The Late Scholar. I rather enjoyed it, particularly the references to earlier books in the series. Final Witness by Simon Tolkien. No guesses what made me pick this one up in the library! Simon is JRRT’s grandson. Very different writing style and subject matter, but a cracking read. I love stories where it is not obvious who is telling the truth and you have to try to figure it out along with the main characters. On the road bike: the search for the nation’s cycling soul by Ned Boulting. I’m familiar with Ned from ITV’s Tour de France coverage. This was an entertaining parade of anecdotes and stories of cycling in the UK. The world of cycling seems much the same as many other niche interests in terms of the passion of those involved in organising it (and the resentment aimed at those who either don’t understand it or seem to have betrayed it). Who Governs Britain? by Anthony King, Millennium Professor of British Government at the University of Essex. This is a pelican introduction, so short, well-structured and readable. I bought it before the election to see if it would help me to figure out what is going on. Any large organisation or institution becomes unwieldy as it grows. This is taken to extreme in government. Each chapter deals with a group having more or less power and influence on government, exploring the limits of their power and drawing together all the strands of influence. I’m left wondering how the country functions at all. Currently I’m reading Bill Bryson’s Mother Tongue: English And How It Got That Way. 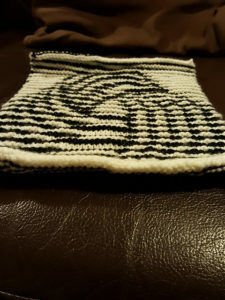 Thanks to Ravelry, I can look at how much I have quite easily. 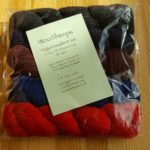 Last time I did a stash inventory in 2013, I had 8.67kg of yarn. 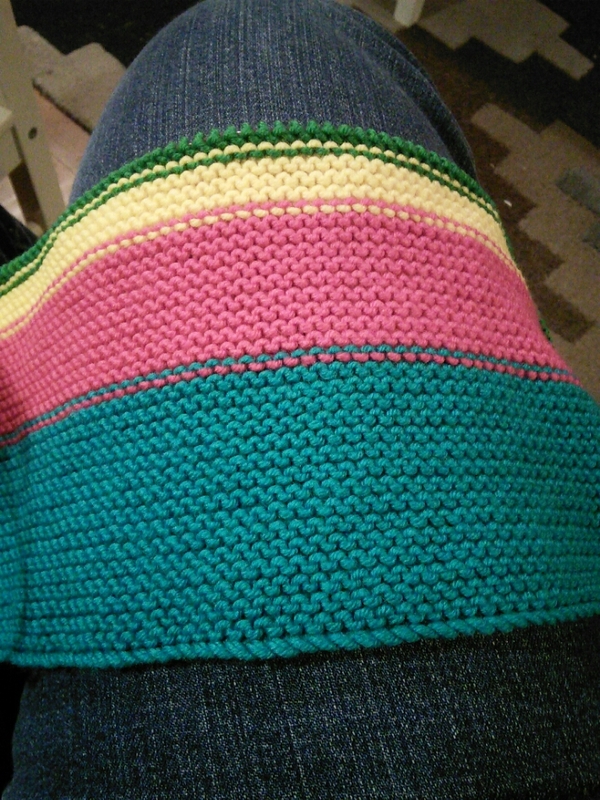 Looks like I’ve been remarkably consistent and only added less than 150g of yarn since then. 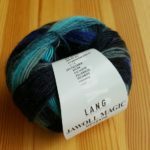 This is not quite true: I’ve just gone through and excluded all my scraps and leftover balls from my stash, thus bringing down the totals considerably. 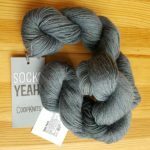 When it comes to yardage, I’ve added about 2 miles of yarn to the stash. (When I did this round-up in 2013, I converted all the distances to Miles, chains, yards and feet. Can’t be bothered to do that today, so an approximation will have to do).